, some say that You are only as old as you look; you can control how you age. Internal beauty is important but not nearly as important as external beauty. Keep the people guessing about your age? Skin is a living organ that changes by time. The formula for youthful-looking skin is now in your hand. By using the right skin-care products can make your complexion better and avoid signs of aging, like wrinkles. 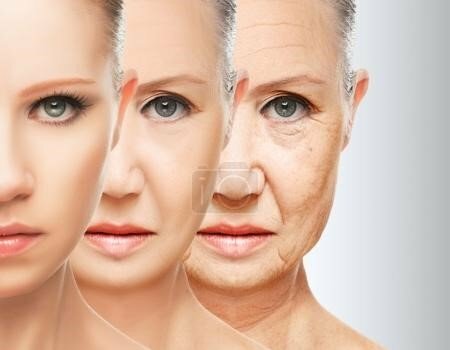 How to stop aging skin? Cleanse your skin with a gentle face wash instead of a drying acne wash.
Like, MD Complete Anti-Aging Restoring Cleanser & Makeup Remover. It will answer your question on how to look younger and how to look fresh. "After some time, skin can start losing collagen, the protein in charge of keeping it looking smooth and lifted." Loss of collagen results as an aged look. Experts say that the best line of defense is to use a retinoid (a version of vitamin A). Like RoC Retinol Correxion Deep Wrinkle Night Cream. Regular use of sunscreen with a sun protection factor (SPF) of 30 to keep your skin healthy and prevent age spots and discoloration. Like: Neutrogena Healthy Defense Daily Moisturizer with Broad Spectrum SPF 50, has an antioxidant blend with pure vitamin E. Sunscreens give you a fresh and younger look. Oil glands becomes less active as you age, use moisturizers properly to minimize fine lines and wrinkles. Switch your normal face cream to a richer one, for deep moisturizing. The outside of your body tells the result of what you put in it. Among the very vital anti aging beauty tips is diet. It’s important to eat foods that nourish your skin over the years. The question that comes naturally is how to prevent aging skin? ... Avoid things that can dehydrate your skin, and foods high in sugar and white carbohydrates can age you faster by breaking down glucose. Including foods in your diet like fish, lean meats, beans, and foods high in vitamin C to keep your skin young. Tomatoes are high in lycopene, an antioxidant, prevent from sunburn and sun damage, Eat more tomatoes if you have a lot of sunburns and are starting to see spots and sun damage. Lycopene will not erase spots but can prevent from more damage. Diet has always been among the vital anti aging beauty tips and solves the question essential on how to look younger. Omega-3s found in certain seafood, like salmon, can help keep skin moist and even delay its maturing process by preventing wrinkles. Eat fish or fish products and try fish oil or flaxseed oil supplements. "Our skin sheds dead cells routinely, making another layer each 28 days." But that process slows over the time, leading to a dull-looking complexion and patches. To remove the dead skin, exfoliate weekly. "Utilize a scour with round particles so it's less aggravating”. 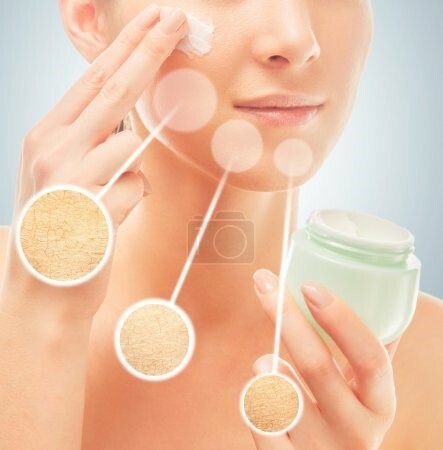 Getting rid of dead cells is among the essential anti aging beauty tips, Using all the above tips answer your question on how to look younger.